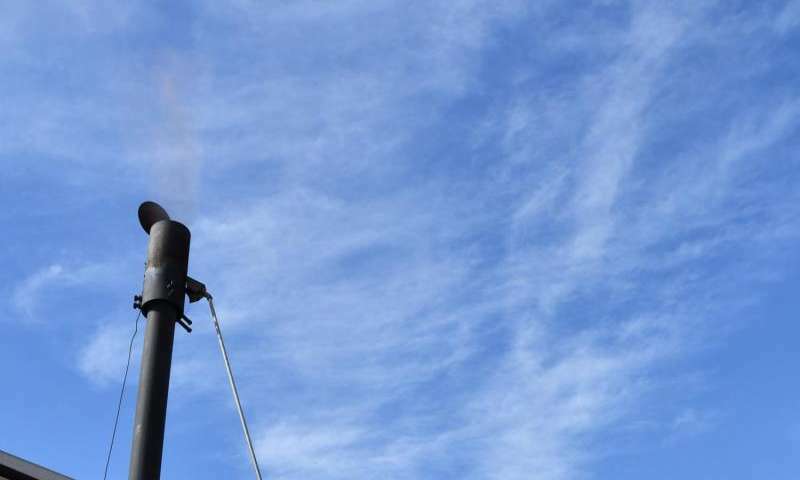 A demonstration was held recently on the campus of Texas A&M University in College Station showcasing a biomass-fueled fluidized bed gasifier, utilizing cotton gin trash and wood chips to power an electric generator. The fluidized bed gasification system was developed in the 1980s when a patent was issued to Drs. Calvin Parnell Jr. and W.A. Lepori, who were both part of the Texas Agricultural Experiment Station now Texas A&M AgriLife Research. 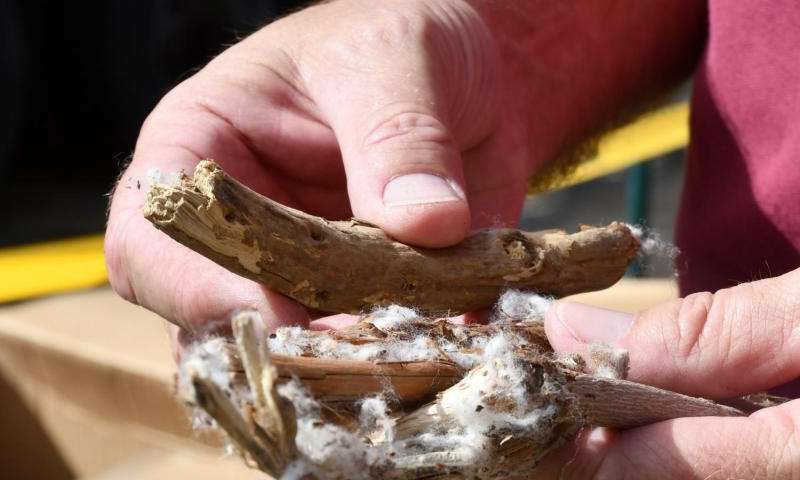 Cotton gin trash and other biomass feedstocks have been used as fuel to generate heat energy for power production. The technology has been a focal point for Dr. Sergio Capareda, AgriLife Research agricultural engineer in the department of biological and agricultural engineering at Texas A&M, who researched the technology while working on his graduate degree during the late 1980s. Parnell and LePori were Capareda's graduate advisors. Cotton gin trash is produced in abundance at cotton gins across Texas and usually left unutilized, Capareda said. During harvest season, piles of cotton gin trash can be found at gins throughout the state. "The process is gasification," Capareda said. "We limit the amount of air to thermally convert the biomass so the products are combustible gases. These are collectively called synthesis gas. Carbon monoxide and hydrogen, plus a little methane, ethlyene, these are a combustible mixture. Combustible in a sense that you can feed it into an internal combustible engine coupled with a generator so you can turn this fuel into electrical power." "It's easier said than done, because you have to remove the biochar and all the tar in the syngas before it goes into the engine. We have cleaned up the gas very well in this technology." "For this particular demonstration, we used the conversion of cotton gin trash into electrical power," Capareda said. "We also used wood waste and turned it into electrical power. With the price of electrical power at 10 cents per kilowatt-hour, the economics are very simple. If you run a 1 megawatt system and sell power for 10 cents per kilowatt an hour, your gross revenue is $1 million. If you find some countries overseas where power is very high, this technology is very attractive." Capareda said the biomass used in the system has to be consistent, meaning whether you are using cotton gin trash or wood chips, it has to be relatively dry and clean without soil, rocks or metals. "That's how you begin, make sure it is dry and consistent," he said. "Then you can run this system 24/7. We need 1.5-2 tons per hour or about 36 tons a day to generate 1 megawatt depending on the type of biomass. High-energy content biomass would need a little less than that. It also depends on heating value and moisture content of biomass." "(This technology) has taken a very evolutionary approach going from a very basic system to one that is computerized. We're very excited about it and think it has some good applications. We have a number of very big companies interested in this intellectual property."